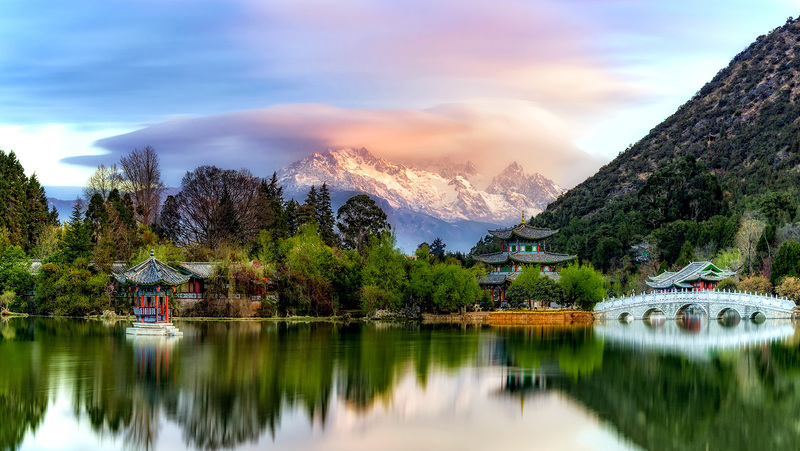 Lijiang City, Yunnan Province, China (also called Lijiang Ancient Town) was declared a UNESCO World Heritage Site due to the charming waterways, ancient bridges, wooden houses, old-world inns, and other historical and cultural attractions. 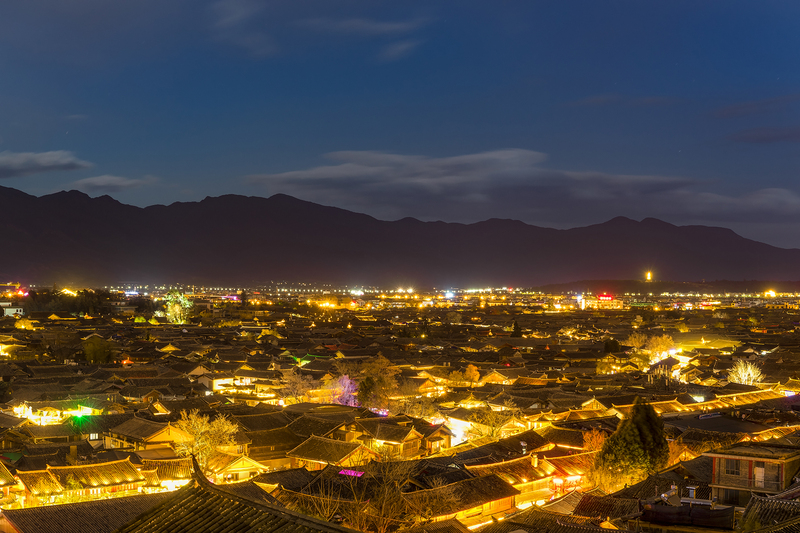 Often referred to as the “Oriental Venice”, Lijiang City has an aesthetic quality that makes it look like a Chinese painting. Yet, the city is different from the other water towns of China. In the other towns, the architecture usually conforms to the Ming or Qing imperial style. 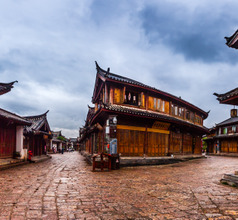 Whereas, the architecture in Lijiang City represents the artistic talents of several ethnic groups like the Han Chinese, Naxi, Tibetan, and Bai. These houses have large courtyards full of willow trees that almost touch the waters as well as numerous flowering plants. The waters of the Yuquan River flow through the city till the Yudai Bridge. At this juncture, the water bifurcates into three canals that spread all over the city to form a navigable waterway system for the locals as well as tourists. So the easiest way to explore this splendid city is by boat or walking along the promenades. 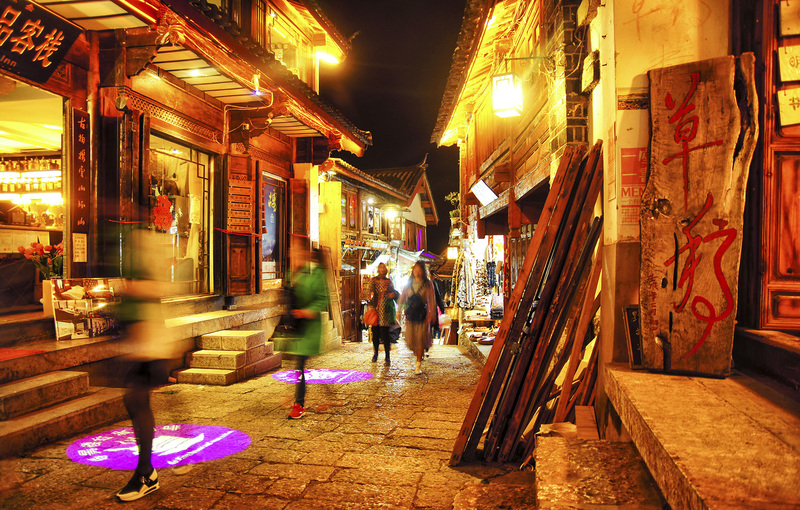 Being a major town during the Song Dynasty, Lijiang City has a colorful history of 800 years. 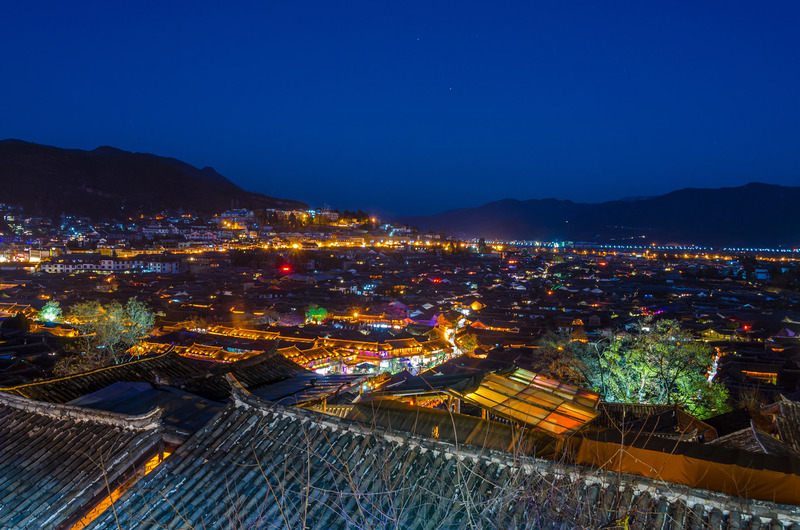 It is the birthplace of the Dongba Culture when the Naxi Kingdom was established. The different ethnic groups had settled in the city because it was a prosperous trading and cultural-exchange center since ancient times. One of the most spectacular relics of the old days is the 13th-century Mu Family Mansion which was built during the Yuan Dynasty. The city prospered further during the Ming and Qing Dynasties and it was well-known for its fair-trade markets. Till the Ming Dynasty, the city was governed independently by the wealthy Mu family. The administration was later taken over by the imperialists during the Qing Dynasty. 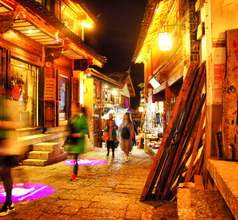 Today’s Lijiang City still has the old-world charm because its ancient ethos has been preserved very well for posterity. So one cannot say that the city is a modern metropolis. 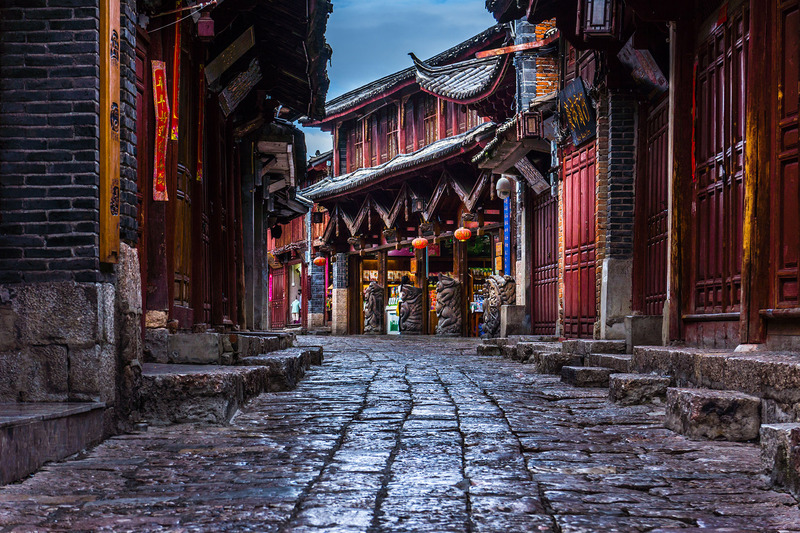 In fact, it prides itself as being one of the best preserved ancient water towns of China with a multitude of tourist attractions spread all over. Tourists will find little shops where one can buy exquisitely handcrafted wood carvings in the ancient Dongba script. These are considered some of the rarest treasures of the world. 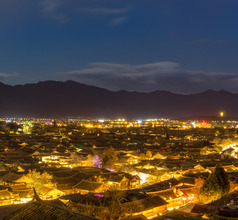 As the city of Lijiang is a very popular tourist destination and a world famous UNESCO site, it has well-developed tourism and hospitality sectors. For accommodation, one can choose from luxury heritage hotels, 2, 3, 4, and 5-star hotels, and cheap inns, guesthouses, and homestays. The rooms in the luxury hotels and star-rated hotels are spacious and have a wonderful view of the canals and bridges. They also offer several in-house amenities to ensure that the experience of domestic as well as overseas tourists is a pleasurable one. The cheaper options have only basic amenities but generally, have clean premises. It is good to download a voice-based mobile translation app just in case there is a problem with the English language. 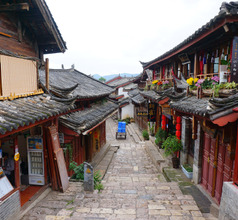 Also called Dayan Old town, Lijiang City is just the place to walk and explore at leisure. It is not meant for visitors who want to rush around and see ten sites in a few hours. The Central Plaza is a place one must visit. There is a large ancient water wheel which still works. At sunset, a bonfire is lit by the locals and they sing and dance for the tourists. This is a beautiful sight worth seeing. There is an entrance fee at the gate of the plaza but one can spend the entire day here exploring the various sites and photographing them. The Mu Palace or Mu Family Residence is the palace of the Mu Clan of the Naxi ethnic group. This clan ruled the city for more than 400 years till the Qing Dynasty took over. The highlight of this attraction is an ancient Taoist temple. Other places to visit in the complex are the teahouse and wine shop before exiting via the Lion Hill Park. 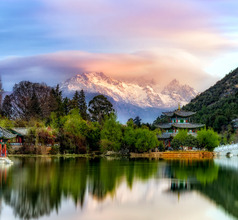 About 25Kms from Lijiang City is the Jade Dragon Snow Mountain. It is considered a sacred place by the Naxi people. This snow-capped mountain has an altitude of more than 5,500 meters above sea level. It has spectacular tourist attractions like the Spruce Meadow and Yak Meadow. Cable cars are available to explore this region comfortably. The Black Dragon Pool located in Lijiang is an irresistibly beautiful site too. Standing in the middle of the Yu Long Xue Shan Bridge near the pool one can get the perfect shot of the Jade Dragon Snow Mountain in the background. 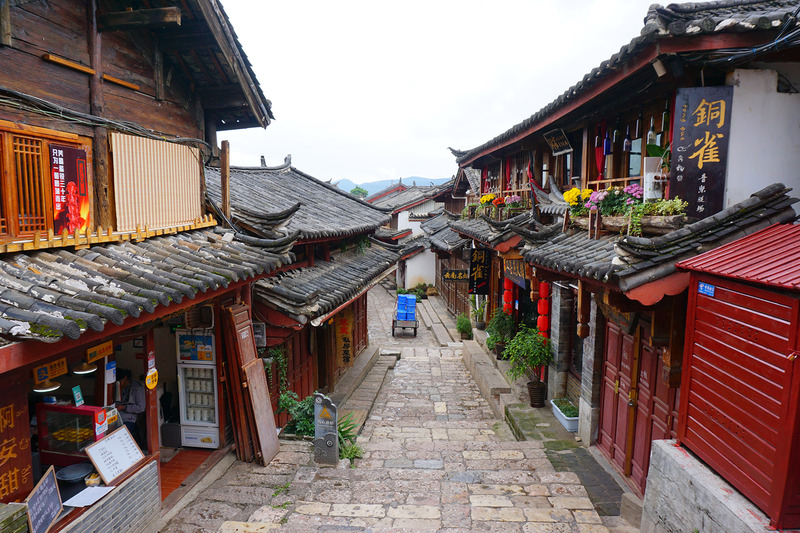 The Baisha Old Town, a part of the Lijiang City is definitely worth a visit. 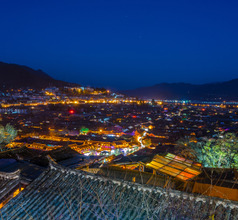 It is the birthplace of the Naxi people and the Mu family. 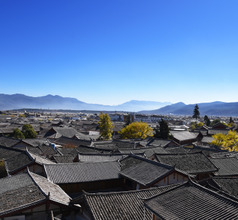 The town consists of a unique Baisha Naxi Embroidery Institute which still encourages, promotes, and sells exquisite Naxi-style traditional handmade embroidered items. It is also a coaching institute for those who wish to learn this ancient art. The Baisha Village Murals are famous worldwide for their fine brushstrokes and smooth finish. Lijiang's Railway Station is located to the south of the city, and serve's only slow speed trains. Trains are available to Dali and Kunming, as well as several regional destinations. Lijiang Sanyi Airport in Yunnan, provides an aviation hub to Lijiang. It is situated 25 kms in the south of town and has links to all major points in China including Kunming, Chongqing, Xi’an and Chengdu. 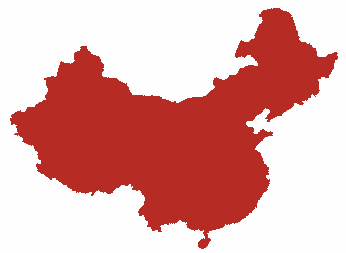 Services are delivered by Lucky Air, Sichuan, Beijing Capital and China Eastern Airlines and other companies. Airport shuttle to downtown costs RMB20 (takes 45 minutes). Minibus, with capacity of 7 persons, costs RMB50/person whereas taxi would cost RMB80 plus. Lijiang City not only has restaurants serving their local delicacies but also those serving Sichuan and Chengdu-style cuisines. But some of their local dishes are very popular with tourists. Salmon fish and dried pork ribs are commonly used in their dishes. Salted Pork Ribs Hot Pot is the signature dish of the city. Other local delicacies include the Sanwen Fish, Lijiang stuffed bun, chickpeas bean jelly, dried ribs dip, Lijiang rice sausage, etc. 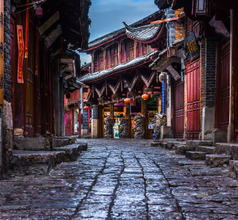 The most popular beverage of Lijiang City is the Buttered Tea which can be sweet or savory. It is made with butter, eggs, hemp seeds, walnuts, and tea leaves and is considered to be very delicious. 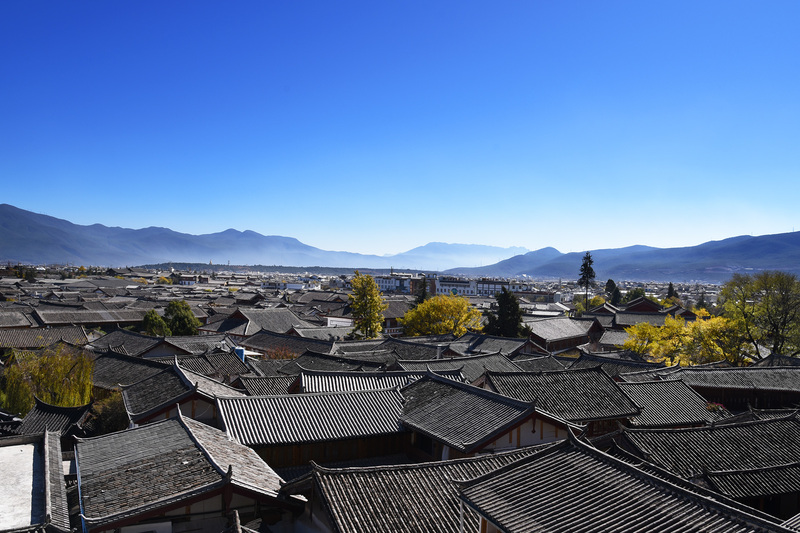 Generally speaking, the weather in Lijiang is mild and warm in winter and cool in summer. Winter is also dry and sunny.